If you are looking for a residential roofing company that you can count on to repair the roof on your home in the Edwardsville, Illinois area in a timely fashion and with precision, consider Daech & Bauer Roofing. We’ve completed more than 10,000 projects in the region and we have extensive experience with the roof damage insurance claim process, so we can help ensure that you receive the compensation you deserve. 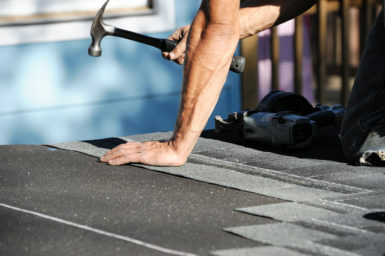 At Daech & Bauer Roofing, our licensed installation and repair technicians have ample experience working with all types of residential roofing products, including energy-efficient shingles, cedar shakes, tile, slate, and more. And, we only use materials from respected manufacturers such as Owens Corning™ and CertainTeed, so you can count on your roof to last for many years. Contact Daech & Bauer Roofing today to learn more about the factors that make us a trusted residential roofing company. We proudly serve homeowners in Edwardsville, IL and surrounding communities.